Depending on the actual number of soil-based on-site wastewater treatment system (OWTS) in an area, on-site sanitation may be a significant source of pollutants and a threat to groundwater. Even in the case of a system functioning correctly, here, a sand filter substituted for the in-situ soil, as the treated effluent may reach to the water table, it is necessary evaluating in situ how much the sand and underneath soil respectively contribute to pollutant removal. On the plot of a household in a small rural community, the functioning of a real scale OWTS was monitored for 1.5 years. This system, composed of a septic tank connected to a 5 × 5 m2 and 0.7-m thick aerobic sand filter was equipped with soil hydrodynamic probes (water content and matrix potential) during construction. By using the instantaneous profile method of water content, the intermittent infiltrated flux was determined across the sand-pack according to position and time. Treated water infiltrates into underneath soil acting as post-treatment. Quality of interstitial liquid from the sand and the soil was analysed each month on a 12-h pumping sample obtained through porous plates. 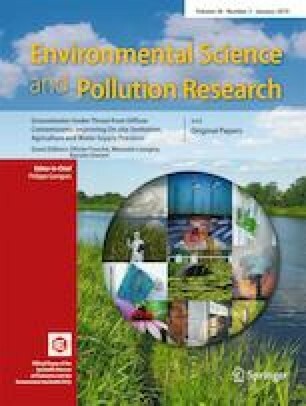 Results of water fluxes and concentrations provide an estimate of the annual flux to the vadose zone and groundwater of metals, nutrients and some organic micro-pollutants (parabens and triclosan) through the OWTS and subsoil. For the financial and scientific support, the authors thank the GESSOL program (grant MEEDDM-CDGDD-DRI R-2011-8C-0028-A0, French Ministry of Ecology, French Agency for Environment Management and Energy ADEME) through the ANCRES project, and the French Ministry of Foreign Affairs for student grant no 756564K. The authors are grateful to the owners of the house, Guillaume and Carole. We also warmly thank Nadia Guerguadj, Christophe Saillé, Nicolas Forquet, Vivien Dubois, Emilie Caupos and Mohamed Saad, for technical help in field and laboratory work. Thanks to the SPANCs (Public Service of OSS) of Tours and Toucy cities (France).